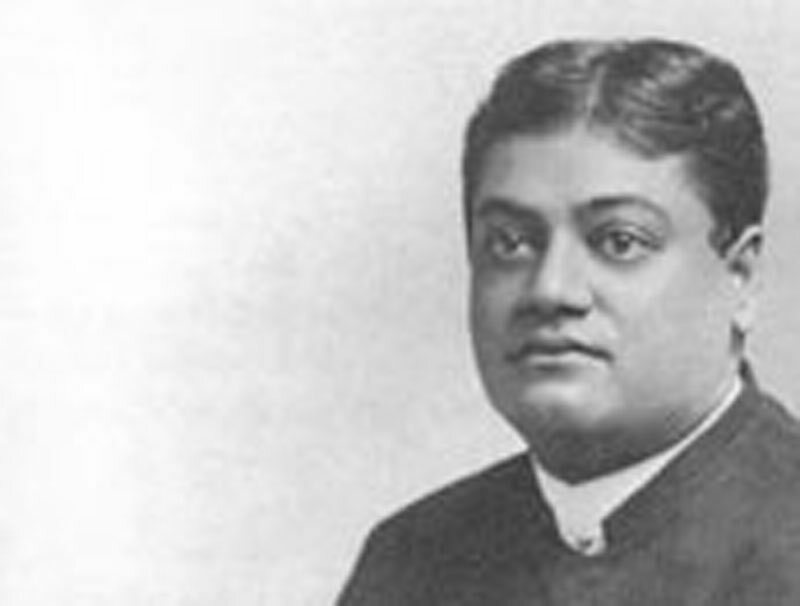 On Karma Yoga - Teachings of Swami Vivekananda by Topic- Frank Parlato Jr. Isolation of the soul from all objects, mental and physical, is the goal; when that is attained, the soul will find that it was alone all the time, and it required no one to make it happy. As long as we require someone else to make us happy, we are slaves. When the Purusha finds that It is free, and does not require anything to complete Itself, that this nature is quite unnecessary, then freedom (Kaivalya) is attained. Men run after a few dollars and do not think anything of cheating a fellow-being to get those dollars; but if they would restrain themselves, in a few years they would develop such characters as would bring them millions of dollars — if they wanted them. Then their will would govern the universe. But we are all such fools! What is the use of talking of one's mistakes to the world? They cannot thereby be undone. For what one has done one must suffer; one must try and do better. The world sympathises only with the strong and the powerful. It is only work that is done as a free-will offering to humanity and to nature that does not bring with it any binding attachment. Duty of any kind is not to be slighted. A man who does the lower work is not, for that reason only, a lower man than he who does the higher work; a man should not be judged by the nature of his duties, but by the manner in which he does them. His manner of doing them and his pourer to do them are indeed the test of a man. A shoemaker who can turn out a strong, nice pair of shoes in the shortest possible time is a better man, according to his profession and his work, than a professor who talks nonsense every day of his life. Every duty is holy, and devotion to duty is the highest form of the worship of God; it is certainly a source of great help in enlightening and emancipating the deluded and ignorance-encumbered souls of the Baddhas — the bound ones. By doing well the duty which is nearest to us, the duty which is in our hands now, we make ourselves stronger and improving our strength in this manner step by step, we may even reach a state in which it shall be our privilege to do the most coveted and honoured duties in life and in society. Nature's justice is uniformly stern and unrelenting. The most practical man would call life neither good nor evil. The great leaders of mankind belong to higher fields than the field of platform work. However we may try, there cannot be any action which is perfectly pure or any which is perfectly impure, taking purity or impurity in the sense of injury or non-injury. We cannot breathe or live without injuring others, and every morsel of food we eat is taken from another's mouth; our very lives are crowding out some other lives. It may be those of men, or animals, or small fungi, but someone somewhere we have to crowd out. That being the case, it naturally follows that perfection can never be attained by work. We may work through all eternity, but there will be no way out of this intricate maze: we may work on and on and on, but there will be no end. The man who works through freedom and love cares nothing for results. But the slave wants his whipping; the servant wants his pay. So with all life; take for instance the public life. The public speaker wants a little applause or a little hissing and hooting. If you keep him in a corner without it, you kill him, for he requires it. This is working through slavery. To expect something in return, under such conditions, becomes second nature. Next comes the work of the servant, who requires some pay; I give this, and you give me that. Nothing is easier to say, "I work for work's sake", but nothing is so difficult to attain. I would go twenty miles on my hands and knees to look on the face of the man who can work for work's sake. There is a motive somewhere. If it is not money, it is power. If it is not power, it is gain. Somehow, somewhere, there is a motive power. You are my friend, and I want to work for you and with you. This is all very well, and every moment I may make protestation of my sincerity. But take care, you must be sure to agree with me! If you do not, I shall no longer take care of you or live for you! This kind of work for a motive brings misery. That work alone brings unattachment and bliss, wherein we work as masters of our own minds. The great lesson to learn is that I am not the standard by which the whole universe is to be judged; each man is to be judged by his own idea, each race by its own standard and ideal, each custom of each country by its own reasoning and conditions. American customs are the result of the environment in which the Americans live and Indian customs are the result of the environment in which the Indians are; and so of China, Japan, England, and every other country. We all find ourselves in the position for which we are fit, each ball finds its own hole; and if one has some capacity above another, the world will find that out too, in this universal adjusting that goes on. So it is no use to grumble. There may be a rich man who is wicked, yet there must be in that man certain qualities that made him rich; and if any other man has the same qualities, he will also become rich. What is the use of fighting and complaining? That will not help us to better things. He who grumbles at the little thing that has fallen to his lot to do will grumble at everything. Always grumbling, he will lead a miserable life, and everything will be a failure. But that man who does his duty as he goes, putting, his shoulder to the wheel, will see the light, and higher and higher duties will fall to his share.